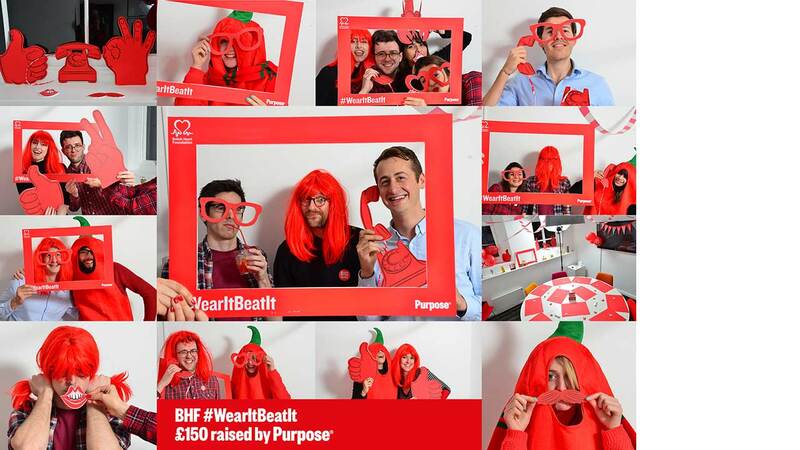 We recently held a #WearItBeatIt event here at the Purpose studio in aid of British Heart Foundation. Their annual initiative helps them to fight for every heartbeat and raise money for life saving research. Workplaces, schools and friends have been wearing red and hosting events across the country to help raise money towards their fight. The Purpose team donned their red outfits and set up a photobooth to capture the day’s event, raising a fantastic £150!